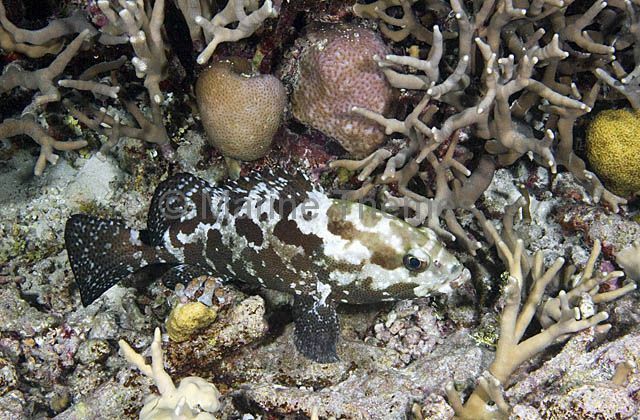 Camouflage Rockcod (Epinephelus polyphekadion) asleep among Acropora Coral at night. 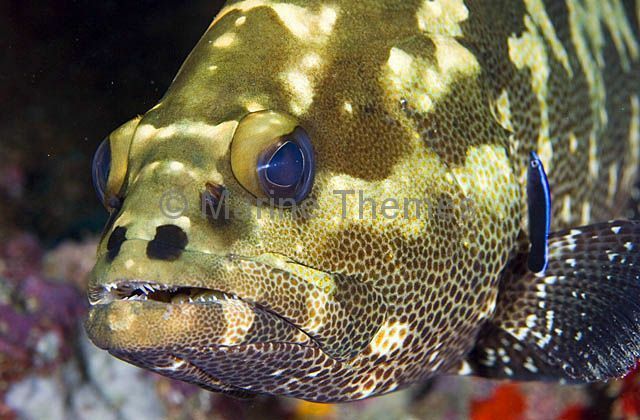 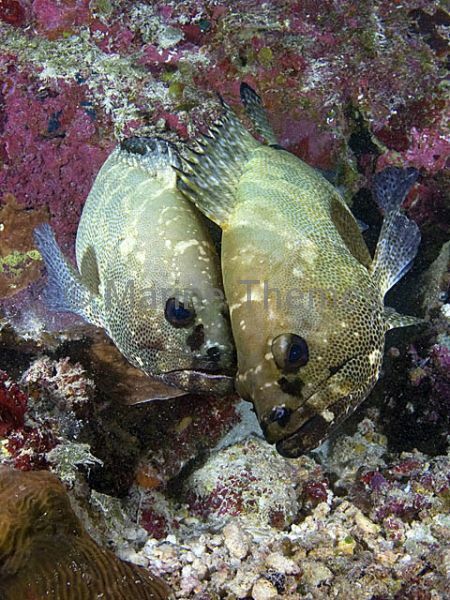 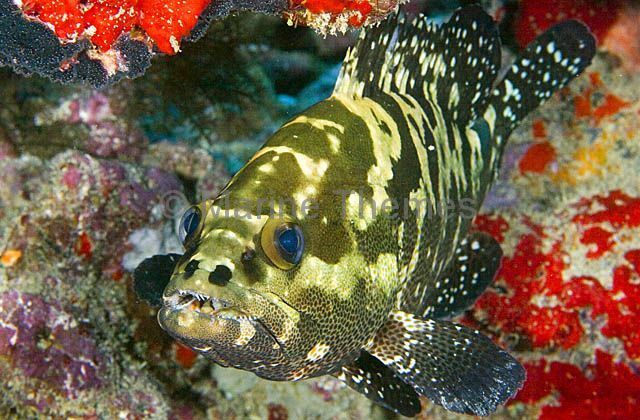 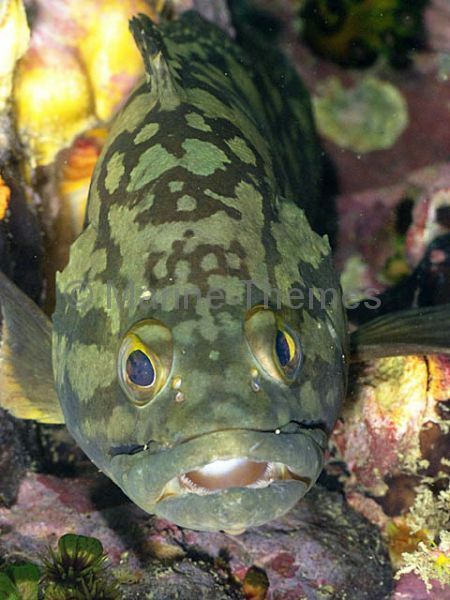 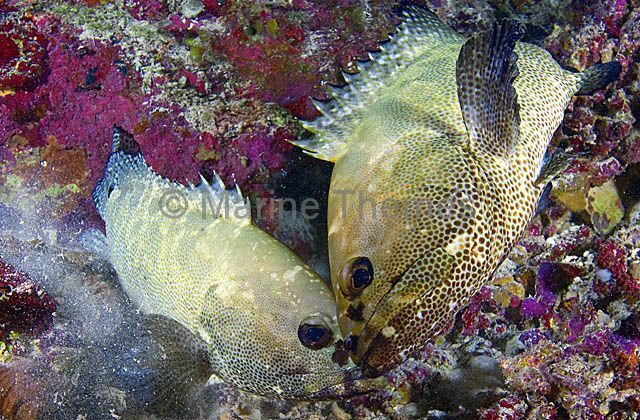 Camouflage Rockcod (Epinephelus polyphekadion) caressing in pre-mating courtship ritual. 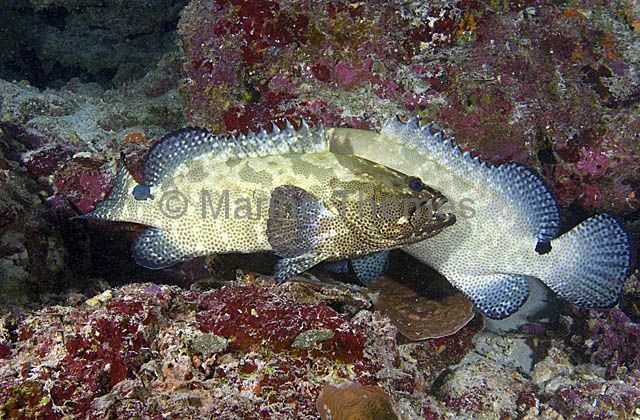 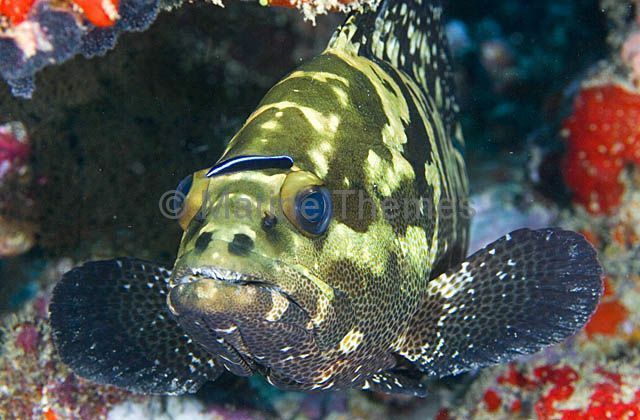 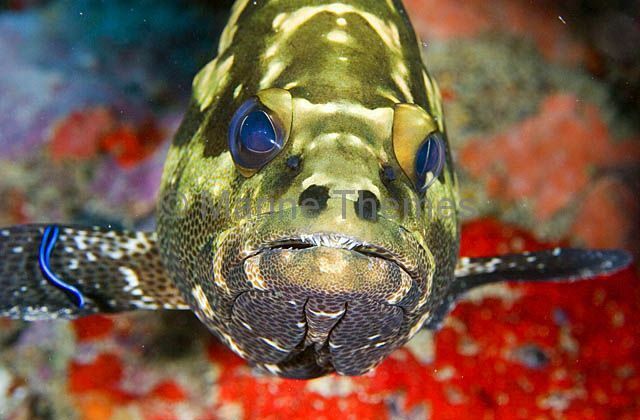 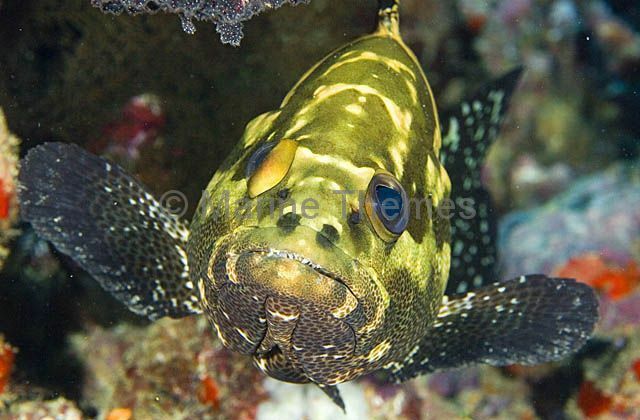 Camouflage Rockcod (Epinephelus polyphekadion) with Cleaner Wrasse.